We believe that the many customers who return to us regularly do so because customer service is a top priority at Cromer Electrical. Providing a guarantee of quality is important and we think our customers trust us because we offer them assurances on which they can depend. Here are the key things we would like you to understand. We always charge a reasonable and fair price for our electricians’ time and the materials we use. We will never overcharge you. When we work for you we will discuss costs fully beforehand, and in the event that unforeseen circumstances arise we will discuss the situation with you again. As manufacturers’ warranties vary in terms and in length from product to product, we will always advise you of what is applicable. If any materials that we use do not have a guarantee, which is very rare indeed, we will explain this to you before we start any work. 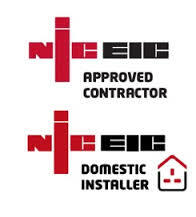 Upon completion of our work a 12-month guarantee of workmanship will take effect. Our invoice is your reference for this date and all the work we carry out is automatically covered. We will always be entirely honest about the work that is required and we will never try to sell any unnecessary items or complete work that is unwarranted. If you are less than happy about anything that we do for you, or if you simply need friendly advice about an electrical job, we are always available to talk.